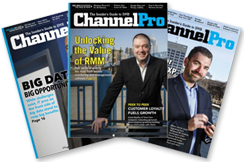 The San Jose ChannelPro SMB Forum will be a full-day live event and feature presentations from some of the top SMB resellers and managed service providers in the country, sharing their insights on the hottest tech solutions in the SMB marketplace today. You MUST attend! Join us for the ChannelPro SMB Forum welcome reception featuring snacks, cocktails, and time to connect with your peers. Tuesday morning, start your day off right with a hot coffee, breakfast, and a side of relationship building. Find out which services successful MSPs and cloud solution providers offer, as well as the techniques they use to price, bundle, and “verticalize” those offerings for peak profitability. The most profitable MSPs base everything they do on proven, repeatable processes. In this highly interactive session, we’ll share best practices for handling ticketing, support calls, and service delivery with the kind of efficiency that minimizes overhead and maximizes customer satisfaction. Having trouble finding fresh leads, or converting the ones you do find into paying customers? Learn the keys to constructing and running a managed and cloud services marketing engine that consistently churns out revenue-generating clients. Continue the conversations you started with like-minded peers before and during lunch. MSPs and cloud service providers who know how to sell close more deals and bigger ones than their peers. In this informative, fast-paced session we’ll give you the expert guidance you need to strengthen key skills like cross-selling, delivering effective sales pitches, and more. Get a hands-on look at the hottest new form factors and coolest new devices from leading manufacturers. Join us at our cocktail reception on May 4th and stay the night! ChannelPro SMB Forum attendees that reserve a room by April 17th, 2015 can enjoy a discounted overnight rate of $195 per night. We suggest booking early, as discounted rooms are limited. Call (408) 453-4000 to book your room. The spacious guest rooms, the largest in Silicon Valley at 450 sq. ft., offer room to spread out comfortably. Enjoy contemporary design, spacious layouts with dual vanity sinks, private balconies, and convenient amenities such as wired and wireless internet access and remote guest room printing. Directions from the Hotel Staff: From 880 North, follow signs to Hwy 87 North towards San Jose Airport. From 87 North, take the Skyport Exit. Turn Right onto Skyport and turn Left at the next light onto Technology. Proceed straight approx. 1/2 mile, cross Airport Parkway, the hotel will be on the right. For additional directions from local major airports, click here. Surrounded by the Santa Cruz Mountains to the west and the foothills of San Jose to the east, the DoubleTree by Hilton San Jose boasts a location vibrant with beauty and rich with culture, history, and diversity. Enjoy proximity to San Jose International Airport, San Francisco, Monterey, Carmel and several high-tech corporations. Visit the enigmatic Winchester Mystery House, the new San Francisco 49ers Levi's Stadium, The Tech Museum of Innovation, California's Great Adventure, and many other exciting nearby destinations. Savor the fruits of California by visiting nearby regional wineries or take a day trip to San Francisco, idyllic Monterey or Carmel. Take advantage of our proximity to the San Jose Convention & Visitors Bureau, situated only four miles away and enjoy fantastic shopping, dining, and entertainment- all located nearby our Hilton San Jose hotel. For more local attractions, click here.